9 Inch Fill Beds: A true deep fill, the same depth as standard hardside waterbeds for maximum conforming comfort. Others call their 7" fills "Deep Fills" because that is the deepest they offer, don't be fooled this way! 9" fills require special more expensive constructions, but we think the extra comfort is worth it. Pillow Top. 9" Fill. K-Rail. Heater. 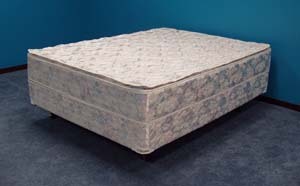 Premium Hydro-Support 1800 watermattress with patented complete liner and unconditional guarantee. Pillow Top with thick polyester fill gives extra comfort and allows your body to breathe. 9" Fill. K-Rail. Heater. 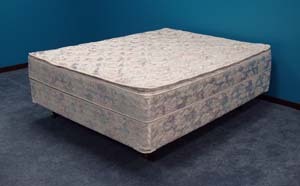 Premium Hydro-Support 1600 watermattress with patented complete liner and unconditional guarantee. Regular Top with polyester fill. 9" Fill. K-Rail. Heater. 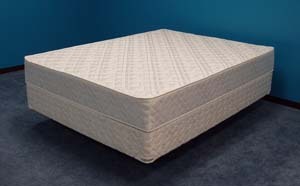 Premium Hydro-Support 1400 watermattress with patented complete liner and unconditional guarantee. 7" Fill Beds: The same as most others deep fills. Good comfort that satisfies most people. Since the bed is shallower the watermattress requires less fiber filling for the same amount of wavelessness. Pillow Top. 7" Fill. K-Rail. Heater. 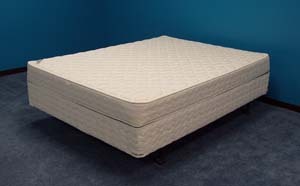 Premium Hydro-Support 1400 watermattress with patented complete liner and unconditional guarantee. Pillow Top with thick polyester fill gives extra comfort and allows your body to breathe. 7" Fill. K-Rail. Heater. 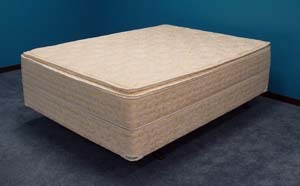 Premium Hydro-Support 1200 watermattress with patented complete liner and unconditional guarantee. Regular Top. 7" Fill. K-Rail. Heater. 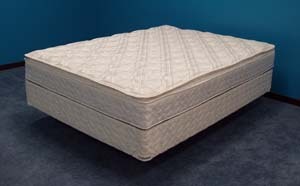 Premium Hydro-Support 200 watermattress with patented complete liner and unconditional guarantee. Regular Top. 7" Fill. Slope Rail System. Heater. Soft Wave watermattress.